In his first major foray on the campaign trail ahead of November’s midterm election, former President Obama will drop into Southern California on Saturday, holding a rally in Orange County to boost seven Democratic candidates running in competitive House districts across the state, it was reported Wednesday. The Orange County Register reported that the rally would be at the Anaheim Convention Center, Ballroom E, with doors opening at 10 a.m.
A representative of Mike Levin’s campaign in the Orange-San Diego County straddling 49th district told Times of San Diego that the Democratic Congressional Campaign Committee was the source of information on tickets. The DCCC did not immediately respond to a request for details. The Los Angeles Times added that the Democratic Congressional Campaign Committee, the rally organizer, says it anticipates 750 people will attend. But this weekend’s rally will mark his first stump speech this election season, according to The Times. 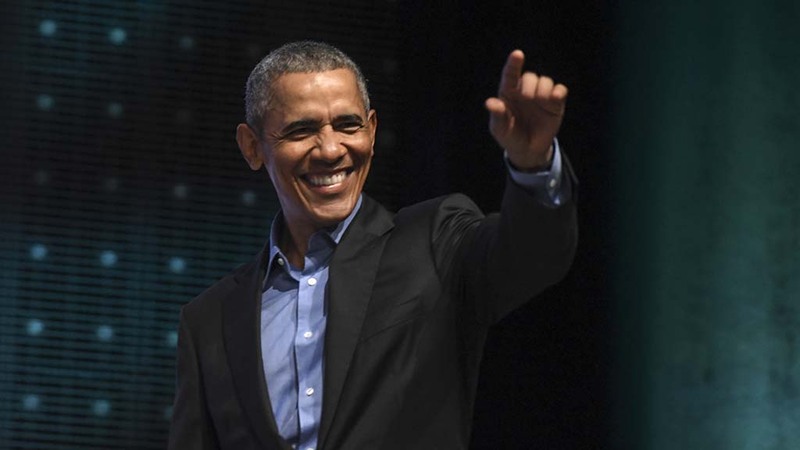 A spokeswoman for Obama said Saturday’s event was just the beginning of a “focused, strategic” lineup of fall campaign appearances. Also planning to attend are Democrats Gil Cisneros, who’s looking to replace retiring Rep. Ed Royce of Fullerton; Katie Porter, who’s challenging Rep. Mimi Walters of Laguna Beach; Harley Rouda, who’s opposing Rep. Dana Rohrabacher of Costa Mesa; and Levin, who’s hoping to replace retiring Rep. Darrell Issa of Vista.